I’ve been very busy lately and not keeping up with the frequency of posting that I had intended. Today I find myself in Charlotte, NC with very few photos to choose from for a blog posting. My library of 68,000+ photos is on hard drives at home. I took this photo a few weeks ago however on my iPhone, and it was accessible to me so I thought I would post it and talk a little about it. After all, the weather forecast for Mentor, OH is for snow to arrive shortly and it looks like it will snow all week long! A normal winter! The iPhone does a pretty good job as a camera, but like all cameras, unless you adjust the exposure, scenes which are primarily white, or black, will be rendered as a middle shade of gray. The original version of this photo, as shot, was mostly middle gray, no nice white highlights as it actually looked to the eye. With a little editing work, on the iPhone itself using an application called Snapseed, I was able to come up with this edited version. This is a full color version by the way, it’s just that in Northeast Ohio, in the winter, everything often turns to shades of black, white, and gray. What Snapseed enabled me to do however was to bring out the white highlights in the snow! It’s just a neighborhood photo but it points out the abilities of the iPhone camera along with the editing capabilities of some of the apps. Snapseed is an app made by Nik Software which I also use in normal Photoshop editing on the computer occasionally. It’s a very powerful and useful program. 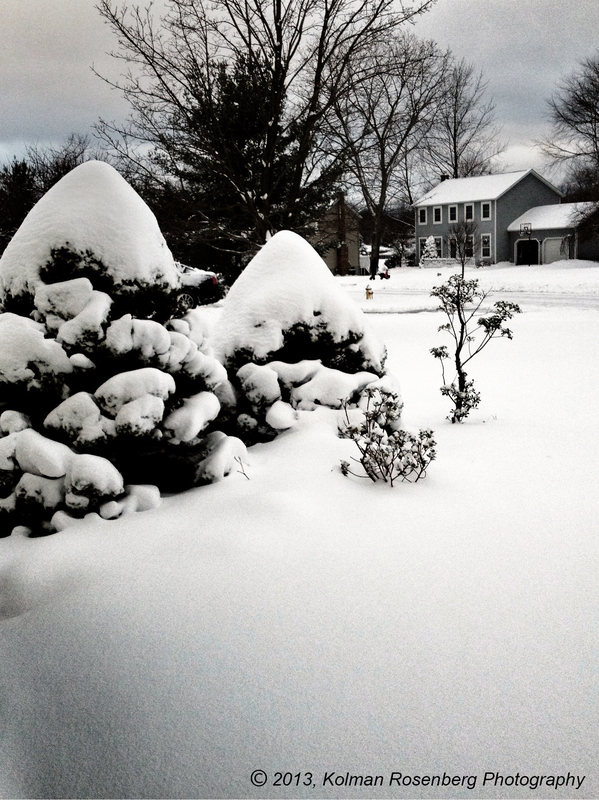 This entry was posted in Uncategorized and tagged black, color, edit, editing, gray, highlights, iPhone, Mentor, monochrome, northeast, Northeast Ohio, OH, ohio, photoshop, Snapseed, snow, white, winter. Bookmark the permalink. Thanks for the tip! I downloaded Snapseed for my Adroid phone and found it works like a champ. Hope you’re in NC for the long haul – gonna be nasty up here! Glad it was helpful Sally! Heading back to the Northcoast today! Sounds like winter has returned!